*Subject to change. Offered only on selected units. Subject to availability. This offer applies only to the rental fee. Move-In promotions applied to prorated charge for reminder of move-in month. Other restrictions, taxes, and fees, including an administrative fee, apply. See contract for full details. Our Byram locations are split to give you the convenience of a preferred location. 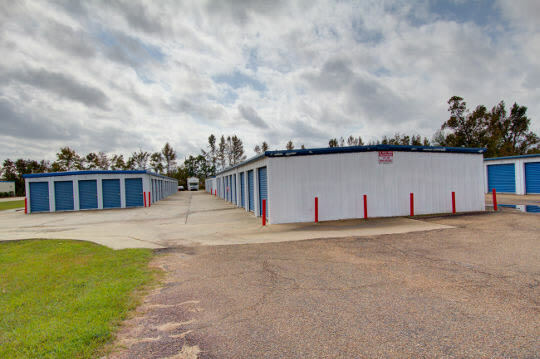 Our two locations in Byram offer you the best in climate control and outdoor storage. Both of our facilities are monitored with 24-hour security and provide wide driveways, drive-up and walk-up access. Our friendly onsite staff will assist you in finding the right unit to suit your needs. Our main location is located at 6773 Siwell Road, while our other location is off of I-55. We also have moving and storing supplies available such as boxes, mattress bags, plastic wrapping, and more.